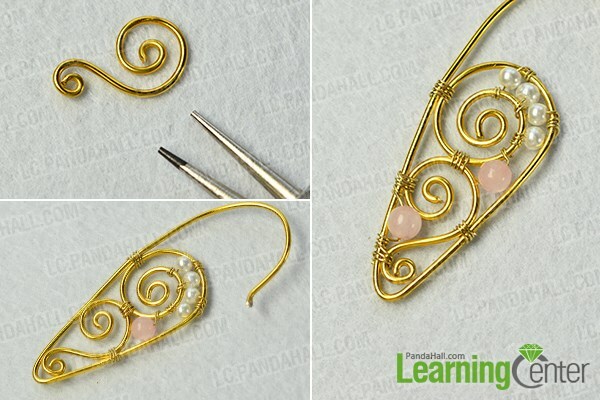 Summary: Hi, do you have any interest for wire and beads hoop earrings? 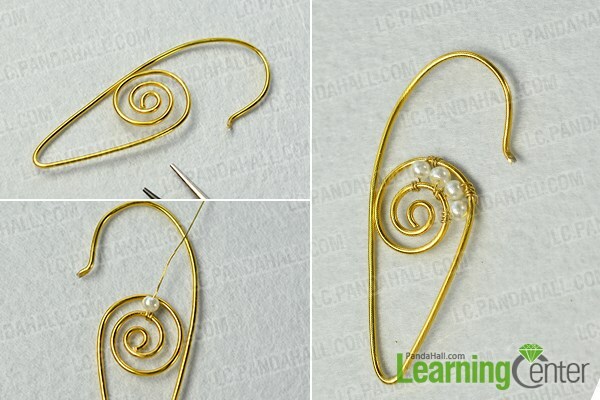 If yes, you can see today’s Pandahall tutorial on how to make wire wrapped gemstone beaded hoop earrings. Have a nice try! 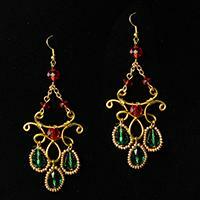 Do you have a pair of wire and bead hoop earrings? Then do you want to make your own one pair? Look at above picture, like them? 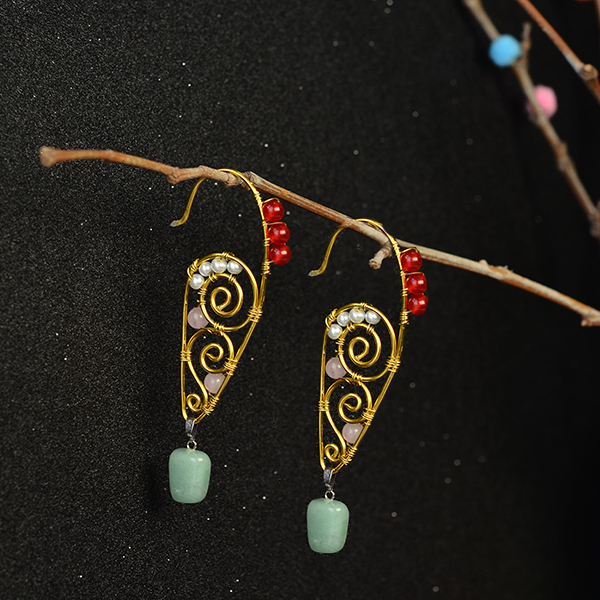 This pair of wire wrapped gemstone beaded hoop earrings can be finished within three steps. Can you believe it? And now follow me to check the details. 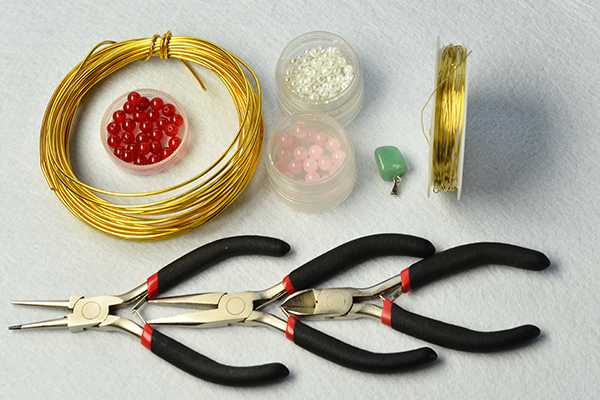 3rd, add another three pearl beads onto the wire, then wrap the wire onto the aluminum wire pattern and cut off the extra wire (as shown in the picture). 3rd, slide two 6mm rose quartz beads onto the jewelry wire and wrap the wire around the aluminum wire pattern, then cut off the extra wire. 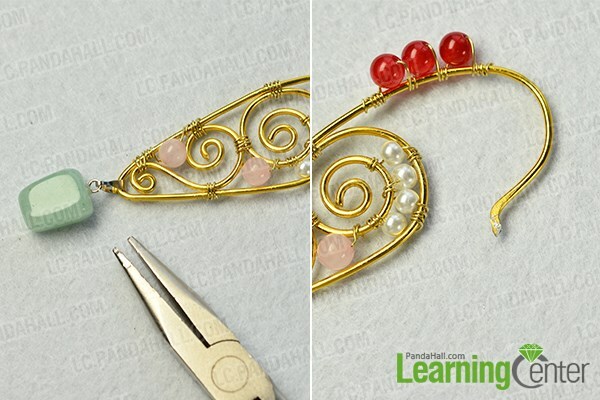 2nd, slide three 6mm orangered jade beads onto the jewelry wire, then wrap the wire and fix the pattern together to finish the hoop earring making. Now, you can see them in detail from this picture. Do you think you can finish this pair of hoop earrings by yourself? 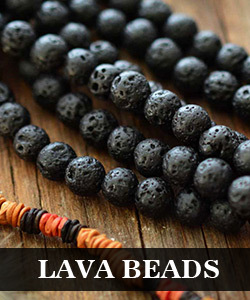 You know that we can add the beads we love into the earrings making, are there any other beads do you want to use? Try one!